Nutrigenomics, also known as nutritional genomics, is defined as the study of how foods affect our genes and how individual genetic distinctions can affect the way we react to nutrients and other naturally-occurring substances in the foods we consume. Nutrigenomics, also known as nutritional genomics, is defined as the study of how foods affect our genes and how individual genetic distinctions can affect the way we react to nutrients and other naturally-occurring substances in the foods we consume. The topic has gained recent attention due to its potential for preventing, mitigating, and treating chronic disease and certain cancers by means of small, yet highly effective dietary changes. Diet has the potential to be a severe risk factor for numerous diseases under certain situations. Common dietary chemicals can affect the human genome, either directly or indirectly, to modify gene expression or arrangement. The extent to which diet has an impact on the balance between healthy states and disease states may be contingent on an individual’s genetic makeup. It is probable for certain diet-regulated genes, as well as their standard, common variants, to be a factor in the onset, prevalence, advancement, and/or severity of chronic diseases. Dietary mediation centered on knowledge of nutritional requirement, dietetic status, and genotype can be applied to inhibit, mitigate, or cure chronic disease. 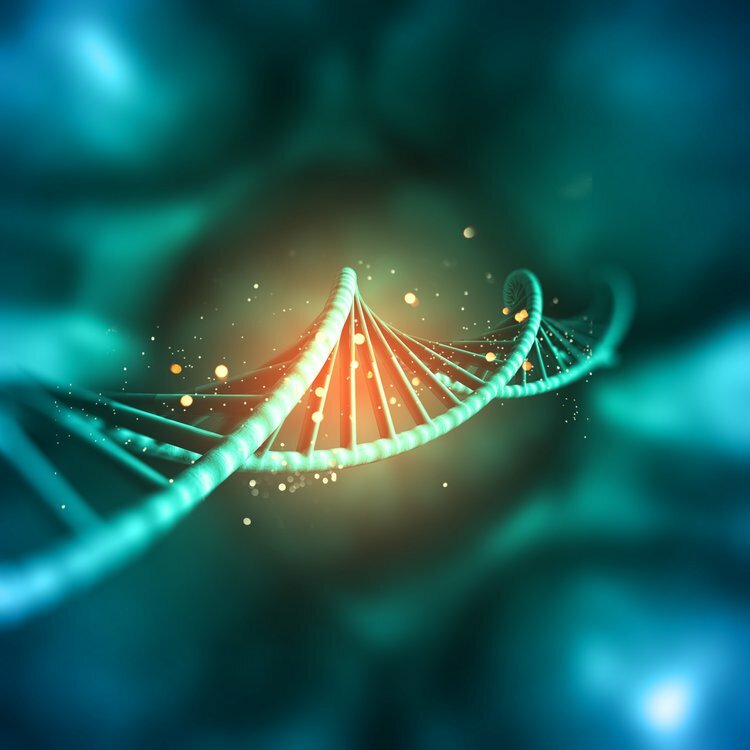 Nutritional genomics incorporates multiple scientific disciplines, linking knowledge from nutrition, genetics, pathology, physiology, molecular biology, biocomputation, bioinformatics, ethics, and sociology. Nutritional genomics guarantees personalized medicine. There is potential to inhibit, or at least postpone chronic disease by incorporating balanced, practical diets. Information acquired from comparisons of diet and gene interactions in differing populations could potentially provide knowledge needed to tackle the greater issue of the malnutrition and disease around the globe. Lactose intolerance causes restrictions on the consumption of dairy products, as it produces a painful digestive disorder characterized by cramps, bloating, nausea, gas, and diarrhea. In 2002, scientists identified a genetic variant on the human chromosome, a structure that carries the DNA in our cells, at the National Public Health Institute in Finland. The prevalence of the condition can be studied by evaluating geography, age, race, and ethnicity. These factors can be analyzed and persistence of the genetic variant may confer selective advantages, such as enhanced nutrition, prevention of dehydration, and increased calcium absorption. Detecting this variant has allowed for personalized dietary plans based on a genetic test for lactose intolerance. Research has extensively proposed the need for proper nutrients in utero and during early development, predominantly for prevention of birth defects. Several foods in the United States are supplemented with folate, a nutrient known to decrease the incidence of neural tube defects. It is also a main component for regulation of gene expression. Research regarding the association between nutrient intake during developmental periods and metabolic syndrome has come to be a predominant topic. The University of Adelaide in Australia, in 2005, details the extensive history of the origins of the hypothesis, outlining the factors and findings that led researchers closer to an apparent correlation. Research was compiled on the early 1900s geographical, environmental, and age factors associated with nutrition and the incidence of diseases, such as cardiovascular conditions, metabolic syndrome, and type 2 diabetes. Using this data, scientists were able to come closer to identifying a biological and genomic correlation between birth weights and health outcomes. Employing nutrigenomics in this field of study has shown profound results that would not have been fostered with biologic hypotheses alone. Take a moment to reflect on your health and any current conditions you may be facing. If you are lactose intolerant, have metabolic syndrome, type II diabetes, or cardiovascular disease, research is developing that could attribute these conditions to nutrition factors in your fetal and early stages of life. These are not the only topics with research underway, as several dozens of theories of health ailments related to nutrition’s impact on our genes have been noted, especially in relation to cancer. Nutrigenomics is just one of the exciting new scientific areas emerging from some of the world’s profound researchers.